The release of the Remington V3 walnut model is at hand, retailing at $995 with a street price around $750 or so. Remington ordered extensive additional testing of the V3 walnut model which resulted in a more rugged forearm design in walnut, an interesting engineering problem not present in the synthetic-stocked models. More on this in the review of the actual shotgun. From what it was going to be originally, Remington made several changes to the stock and forearm designs and a clever modification to a portion of the gas system as well. This model was going to have a conventional, vented, ground recoil pad. However, the Remington Team went back and forth and finally decided they wanted the walnut model to be the softest-shooting 12 gauge in its weight class, so they retained the popular Remington SuperCell recoil pad. To do this, while keeping things at a good level of fit for a molded pad, Remington decided to invest in new SuperCell molds. Further, Remington tightened up their walnut stock tolerances by using ceramic fixtures during final stock sanding. 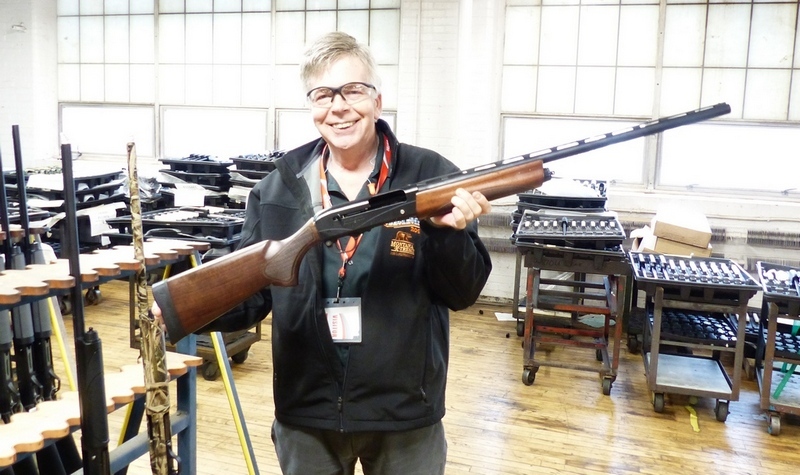 The basic shotgun has the same VersaPort action as the synthetic-stocked V3 models, the weight is about the same, the supplied stainless Briley choke tubes are the same, and so forth. It has the same roller trigger as well. Several folks have asked me how the V3 walnut lands in the marketplace. The closest shotgun to the V3 walnut in my view would be the Winchester SX3 Field that sells for $100 or so more. Compared to the Winchester SX3 that has no warranty, the Remington V3 walnut comes with a written lifetime warranty, far better factory choke tubes (including a Full Choke approved for steel shot), a far better trigger, a better recoil pad . . . and, it is Made in the USA. The V3 also has a magazine cut-off. A full review of the V3 Walnut will follow in short order.